A very good example of this world class stallions progeny. An excellent run first up at Randwick. He pulled up quite shinsore following that run and had a spell, needing time to mature further. He should be back at Randwick around Christmas time. DALAKHANI (IRE) (Bay 2000-Stud 2004). 8 wins-3 at 2, Longchamp Prix de l'Arc de Triomphe, Gr.1. Sire of 642 rnrs, 369 wnrs, 52 SW, inc. Conduit (Breeders' Cup Turf, Gr.1), Reliable Man, Integral, Chinese White, Second Step, Seismos, Duncan, Shakeel, Moonstone, Alex My Boy, Defoe, Candarliya, Guardini, Silk Sari, Terrubi, Vadamar, Armure, Centennial, Democrate, Shemima, Gothic Dance, Shreyas, Golden Valentine, Goldwaki, Shemiyla, Deem, etc. She's Wild (f by Turffontein) Winner at 1000m in 2017-18 in Aust. Blast (g by Dalakhani (Ire)) See below. Flash Bash (f Vettori) 4 wins from 1400m to 1600m, NZ$11,475, A$77,900, MRC Australia Day H., Burrabil H., 2d MRC Summer H., 3d VRC Frances Tressady S., Gr.3, MRC Mannerism S., Gr.3. Producer. Hoffsetter. 2 wins at 1350m, 1650m, Devonport RC Stridemaster at Tasracing P., Race Replays at Tasracing P., 2d TTC Newsxpress Newstead H.
Punta Norte. 8 wins from 1200m to 1650m, A$296,575, to 2016-17, BRC Weareco H., Ladies Oaks Day H., Madame Wu H., Give Back Campaign P., Civforce Pipelaying H., Giddy Up Club Membership H., 2d BRC Veuve Society H., 3d BRC Kennedy's Timbers H., Jim Beam H., Delfina's Bistro H., Canadian Club H., Coke Zero H.
Bunfight. 6 wins from 1100m to 1600m, A$179,300, VRC TEAC Digital H., VATC Harold Badger H., MRC Columnist H., Plush H., MVRC E&S Trading Open Family 500 Club P., 2d VRC Vili's Pies H., Polo Prince Welter H., MRC Ken Sturt H., May Sprint H., John Payne H., MVRC Victorian Celery Growers Welter H., Swim Between the Flags Trophy, 3d VATC Heroic H., MVRC Spartacus H.
Monaco Prince. 8 wins from 1200m to 1600m, A$133,440, WATC Perth Racing on Twitter H., 2d WATC Perthracing.com.au H., Country Cup H., Maniana H., Fresh Liftout H., 3d WATC Playeronline.com.au H., Perthracing.com.au H., Ozbet.com.au H., Geraldton TC Batavia Sprint H.
Zagami. 3 wins at 1850m, 2200m, BRC Mount Franklin H., 3d BRC Coalscan H.
Fun. Winner at 1200m, 2d BRC Gallopers $1 Membership P.
Belle Soiree. Winner at 1200m in Aust. Producer. Miss Mataya. 6 wins-2 at 2-to 1200m, A$79,500, BTC Free Finance Check-Up H., 2d QTC Lyndhurst Stud H., 3d BTC Macquarie Underwriting H.
PARTY TIME (f Bletchingly) 3 wins. See above. 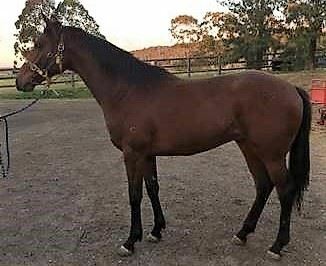 LANGBORGHINI (c Langfuhr) 8 wins to 1500m, A$238,430, Gosford RC Pacesetter S., L, AJC Sydney City Lexus Welter H., STC Guildford Leagues Club H., AJC Autism Association P., STC Singapore Turf Club Trophy H., Theraces.com.au Welter H., Clubs NSW H., 4th STC Maurice McCarten S., L, Civic S., L, Canterbury Classic, L.
Soul Diva (f Grand Lodge) 11 wins from 1200m to 2100m, A$371,275, VRC Jezabeel H.-twice, Ken Cox H., MRC Clamms Seafood H., Robert Hunter H., BTC Canterbury Goodbye & Goodluck H., City Pacific Finance H., 2d MRC Brian Green H., VRC Midsummer H., 3d MVRC WH Stocks S., Gr.2, SCTC Greg Hunt OH&S Consultancy H. Producer. Race Record: 1 Starts 0-1-0 A$18,800. 2nd ATC Theraces 2YO H.
19/Feb/2018 8th of 9 --trial--ATC Barrier Trial, 900m. Lean Mean Machine was 1st and Home Scene 2nd and Reagan 3rd. 29/Jun/2018 3rd of 9 --trial--ATC Barrier Trial, 745m. Fast Stepping was 1st and Expellable 2nd. 28/Sep/2018 4th of 8 --trial--ATC Barrier Trial, 1050m. Wolfe was 1st and Zenardini 2nd and Proven Class 3rd.